Dr. Tahseen Mirza is an accomplished scientist and leader with over twenty years of industrial and regulatory experience in the areas of generic and branded pharmaceutical development. He holds a Ph.D. in Pharmaceutical Sciences from University of Cincinnati. In his current job, Dr. Mirza is Division Director of the FDA Office of Manufacturing and Product Quality’s (OMPQ) Division of Policy, Collaboration and Data Operations (DPCDO). Prior to joining OMPQ, Dr. Mirza was the Deputy Director of the Division of Product Quality Research (DPQR), within The Office of Pharmaceutical Science’s (OPS) Office of Testing and Research (OTR). Before joining the FDA, he was a Director in the Technical R&D department of Novartis Pharmaceutical Corp, East Hanover, NJ. During his career, Tahseen has led groups of chemists and Ph.D. level scientists in various R&D and QC/QA departments and is well versed in both early and late phase product development. He has enabled the transfer of manufacturing processes and analytical methods globally between R & D and manufacturing and contract manufacturers. He has also worked in various capacities for Sanofi Aventis, Merial/Merck and the United States Pharmacopeia. 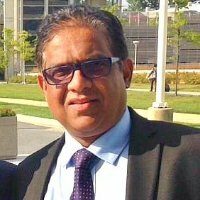 At the USP he served as a USP Liaison between FDA, industry and three USP Expert Committees; Dissolution and Bioavailability (Biopharmaceutics), Pharmaceutical Dosage Forms and Biostatistics he coordinated the efforts towards establishing sound analytical methods and compendial monograph standards. He has lectured and trained industry and FDA scientists in Manufacturing Science, Biopharmaceutics and Dissolution. He has moderated national and international conferences and workshops on variety of topics such as drug release, dissolution, QbD and PAT. Dr. Mirza has lectured and trained industry and FDA scientists in Manufacturing Science, Biopharmaceutics and Dissolution. He has co-authored more than 30 research articles. He has moderated national and international conferences and workshops on variety of topics such as drug release, dissolution, QbD and PAT. Dr. Mirza is the founding Chairman of the AAPS focus group, In Vitro Release and Dissolution. Dr. Tahseen's interest lies in Regulatory research Projects.